As the summer is coming to an end and children are packing their book bags with new notebooks, fresh pencils, and colorful accessories it may be a good time to reevaluate your own work space. Have you had the same office accessories, photographs, and stack of papers to be filed sitting their for months? August is a perfect time to spruce up your work space, add some color to a drab office, and get your organization on! 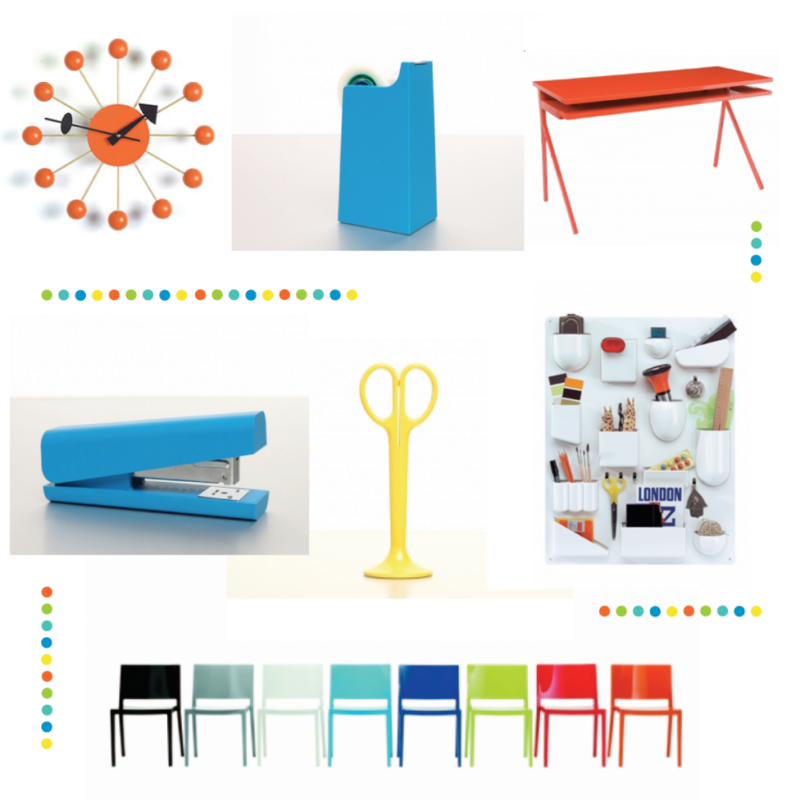 I love these colorful office supplies from Design Public for adding some life to your desk, cubicle, or corner office. Whether you work from home or in a busy corporate setting, we all spend many, many hours at work and deserve to have a comfortable place to pass the work day in. Take just a few minutes this upcoming work week to see what works and what isn’t working for you! Clear out old papers, commit to getting through that stack of files that has been looming over you, print out some new family photos, and grab some colorful accessories to add some cheer to your space. You will not only feel refreshed, organized, and ready to start your work week, but you might also motivate some of your coworkers to spruce up their work space as well. I head back to work this week, starting my fifth year of teaching, and I know that a few fun, modern accessories will lift my spirits and get me in gear for the upcoming school year. All photos from Design Public.